Dr. Cohen is an innovator and a leader in spine care, known for his skill in the operating room and his compassion for patients. He specializes in complex spinal disorders, including minimally invasive spine surgery, revision back surgery and scoliosis in children and adults. He is an honors graduate of the Medical College of Virginia, where he won numerous awards for outstanding academic achievement. He served his residency at the Hospital of the University of Pennsylvania and The Children’s Hospital of Philadelphia, where he was chief resident. Dr. Cohen went on to complete a spine and scoliosis fellowship at Cornell University’s prestigious Hospital for Special Surgery, ranked as the top orthopaedics hospital in the nation by U.S. News & World Report. Dr. Cohen has practiced in Greensboro since 2002 and is board-certified in orthopaedic surgery. 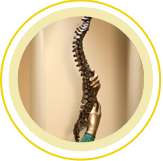 He founded Spine & Scoliosis Specialists in 2007 and serves as President. Over his years in practice, Dr. Cohen has treated tens of thousands of patients and performed over 4,000 spinal surgeries. 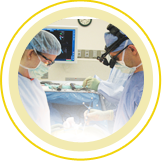 His patients benefit from his continual quest to develop new products and techniques that will improve results in spinal surgery. In 2009, Dr. Cohen pioneered the use of the universal clamp (developed by French surgeons Brice Ilharreborde and Keyvan Mazda) in spinal fusion surgery for scoliosis in the U.S. He helped Abbott Spine (now Zimmer Spine) develop the clamp for the U.S. market, trained on its use with Mazda in Paris, taught the complex instrumentation to physicians in the U.S., and then performed the first universal clamp procedure in the U.S. Helping Medtronic develop instrumentation to improve spinal implant patients’ outcomes and recovery time, and also training other surgeons in these newly developed techniques. Assisting Medtronic in the development of new techniques for minimally invasive sacroiliac (SI) joint fusion using O-Arm technology. Working to help develop the new WAVE® expandable interbody fusion cage, designed to improve outcomes for patients undergoing spinal fusion surgery. Conducting training courses for surgeons from across the U.S. and around the world as part of Medtronic’s Visiting Surgeon Program. Surgeons journey to Spine & Scoliosis Specialists’ Triad offices to spend a day in the operating room with Dr. Cohen and Dr. Torrealba, learning advanced surgical techniques. Dr. Cohen previously served as a consultant for several other manufacturers of advanced spine technology, including Biomet Spine, STIM (for which he was medical director), Zimmer Spine, Spinal Concepts and Interpore Cross Spine. Dr. Cohen enjoys educating patients about the spine, and he also presents educational programs on the spine to nurses, case managers and other health care workers. Click here to read Dr. Cohen’s programs presented to physicians and other healthcare workers by Dr. Cohen.